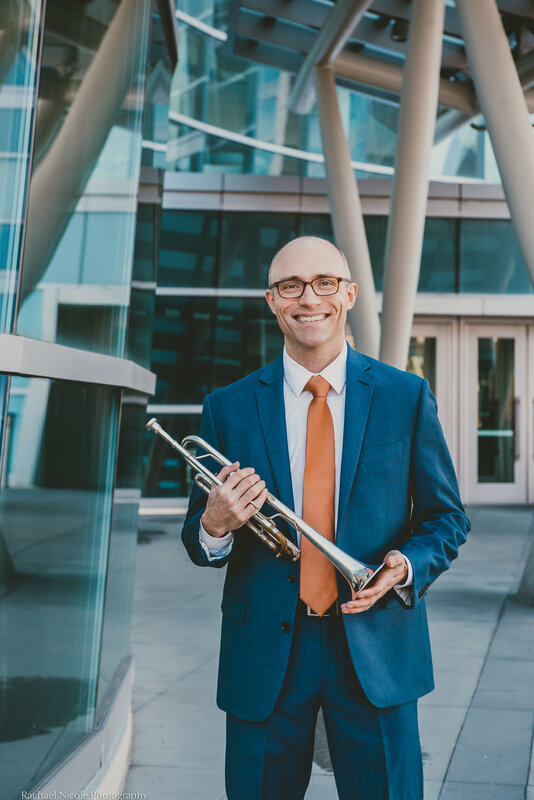 Zach works as a trumpet performer and teacher in Salt Lake City, Utah, where he is pursuing a Doctor of Musical Arts degree at The University of Utah School of Music. He holds a Bachelor of Music from the University of Texas at Austin and a Master of Music from Baylor University. Zach has performed extensively throughout the United States, Europe, Asia, and Central America in venues such as the Meyerson Symphony Center in Dallas, Cadogan Hall in London, Auditorio de Zaragoza in Spain, and Lincoln Theater in Napa Valley among others. He can be heard on numerous CD's with various labels in classical, jazz, alternative, rock, soul, and funk styles. 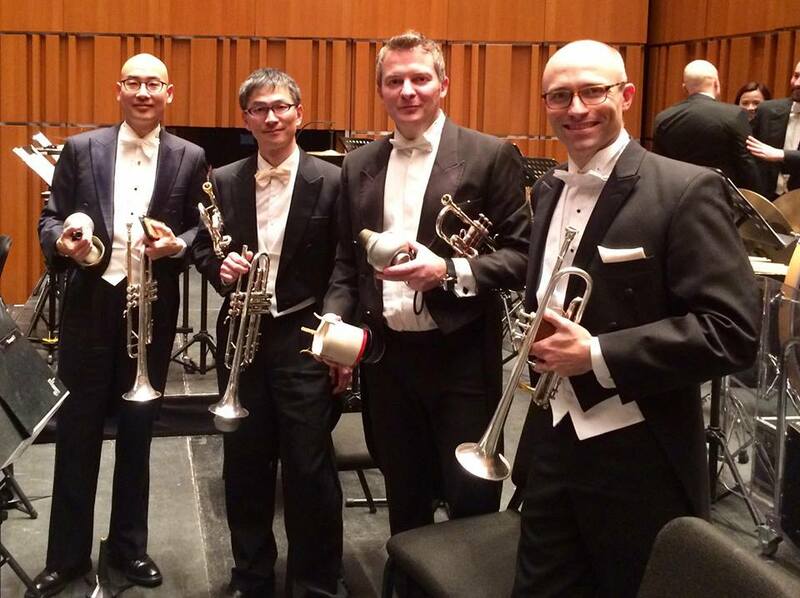 In his most recent recording project, Zach sat as principal trumpet for the University of Utah Wind Ensemble's premiere of David Maslanka's Symphony No. 10. He is on the premiere recording of John Corigliano's Circus Maximus written for the University of Texas Wind Ensemble, which was featured on NPR, at Carnegie Hall, and other performances across the United States and Europe. Zach also premiered and recorded Joseph Turrin's first opera, The Scarecrow, in 2006. The 2018-2019 season will include performances and clinics in China, Antigua and Barbuda, California, Utah, New York, Texas, Montana, Idaho, Colorado, and Wyoming. He currently performs with the Utah Symphony Orchestra, Macao Orchestra in China, and the Helena Symphony in Montana. Recent solo appearances have included the Arutiunian Concerto with the Utah Philharmonia, Hovahaness' Prayer of St. Gregory with the Sul Ross State University Wind Ensemble (Texas), multiple world premieres of new works for solo trumpet, and solo recitals at various Chamber Music Series. Zach served as third trumpet of the Round Rock Symphony from 2009-2014 and the Waco Symphony from 2007-2009. He has also performed with orchestras in Austin, Brazos Valley, San Antonio, San Salvador, and Longview, as well as The Dallas Winds, Imperial Brass of Dallas, Utah Festival Opera, Utah Metropolitan Ballet, Salt Lake Choral Artists, Utah Wind Symphony, East Texas Symphonic Band, Osmond Chapman Orchestra, Terry Cavanagh & the Alpine Express, The Phoenix Jazz & Swing Band, Flyjack, and the Jack Melick Big Band. Zach has shared the stage with artists such as Ben Folds, Phil Smith, David Osmond, Allen Vizzutti, Anton Nell, Clay Walker, Joe Alessi, The Walkmen, Ralna English, Hedda Layne, MGMT, and Carly Wolf. From 2010 to 2014, Zach performed and toured with Soul Track Mind, a 7 piece original soul/funk outfit based in Austin. He was featured on three of their albums while being recognized by The New York Times Magazine and The Huffington Post as leaders in the resurgence of soul music. This project led to performances at South by Southwest Music Festival, Wakarusa Music Festival, and countless venues from Atlanta to Los Angeles. Zach Buie is a Conn-Selmer performing artist and plays Bach Stradivarius trumpets.